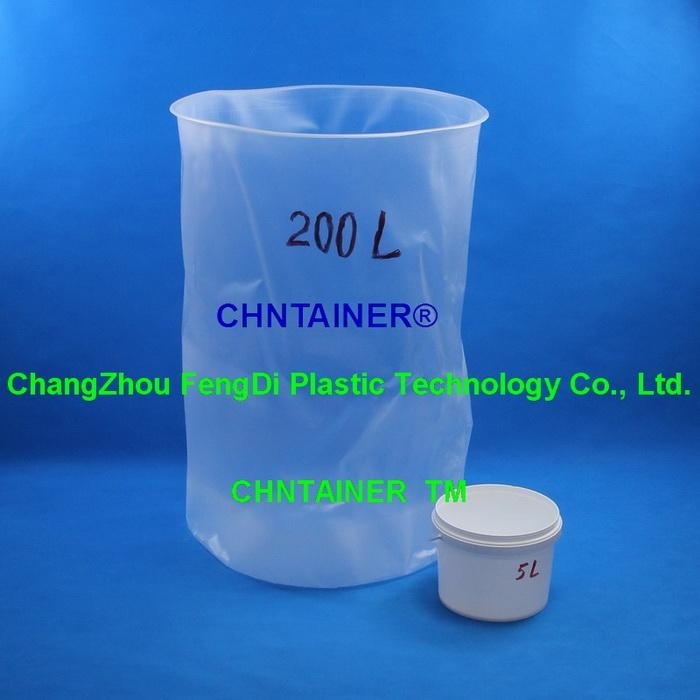 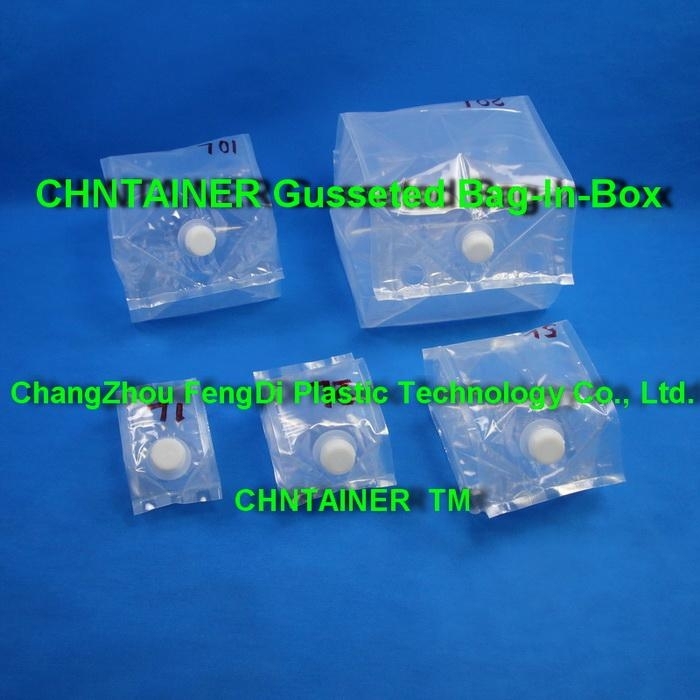 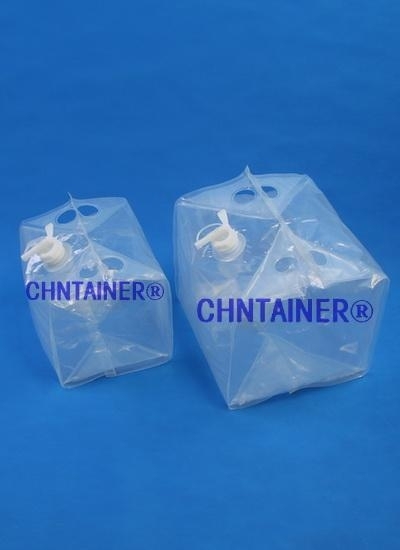 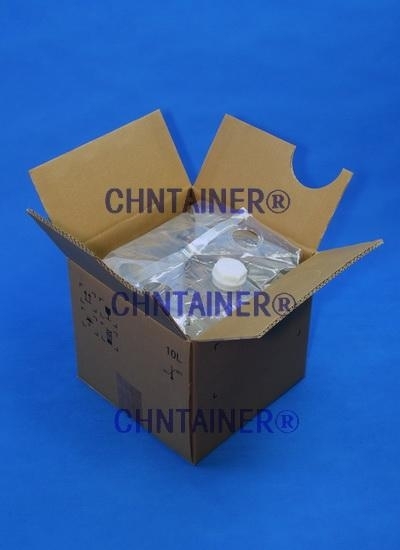 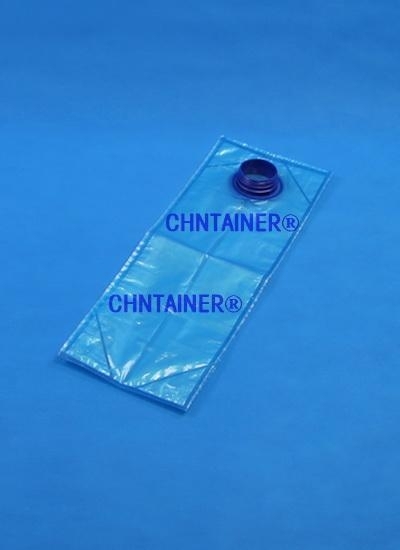 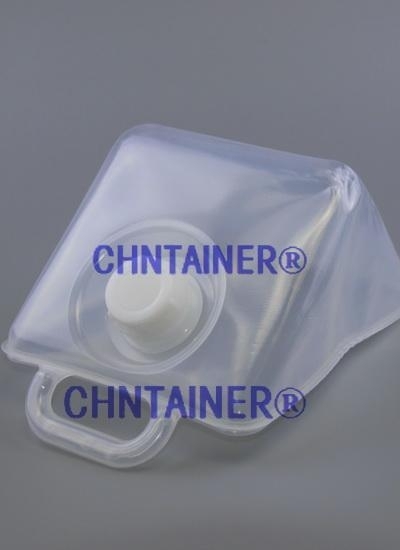 CHNTAINER® Bag In Box = Blow Molded Inner or Film Type Interior + Carton Box(Metal Can or Other Strong Outer Container). 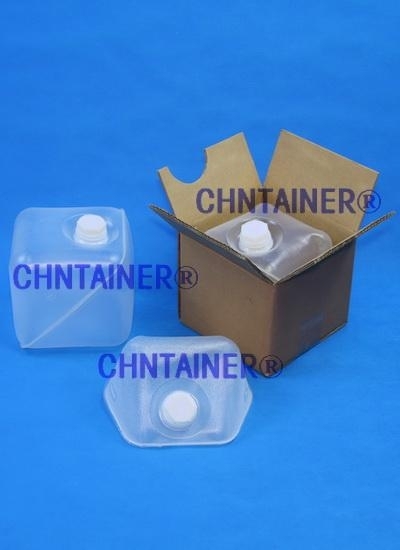 It is a one-way industrial liquid container with exterior corrugated cardboard united together, if the outer container is open mouth metal can or other open head strong container, the outer container can used recycled. 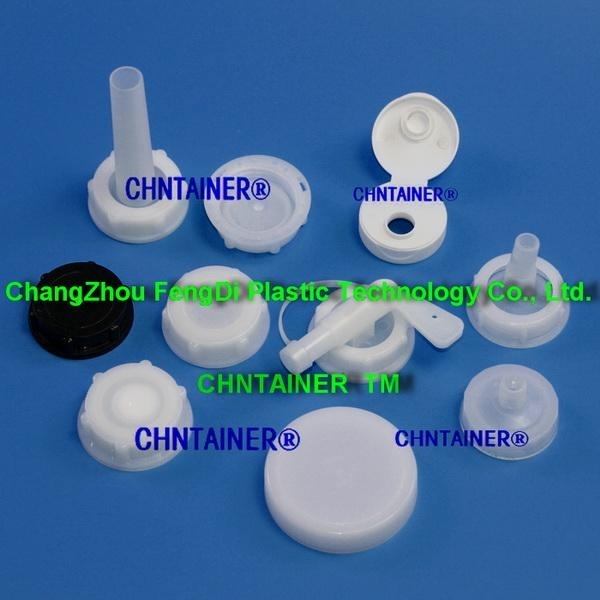 You can use it in various of liquid fields such as food field, beverage field, chemical industrial medicine field. 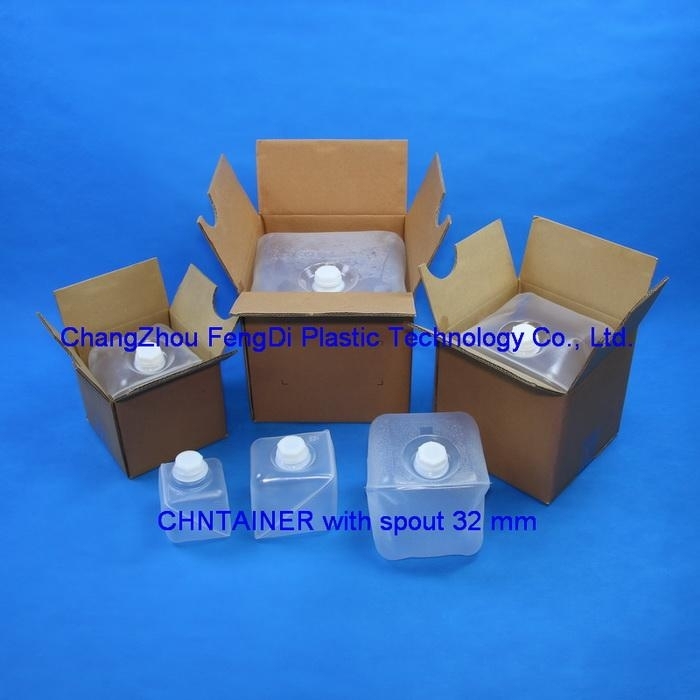 All products conform to Food Sanitation Law. 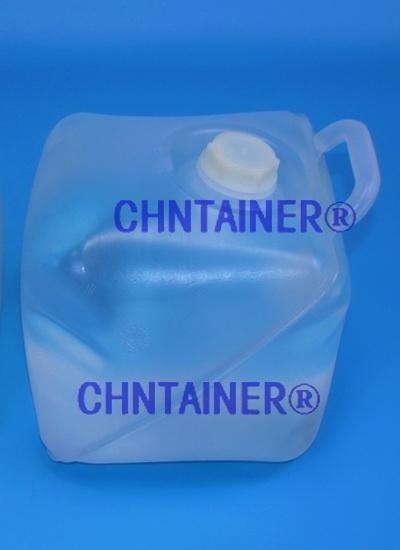 There are 4 standard types of capacities of 20, 18, 10 and 5 liters for each mode.